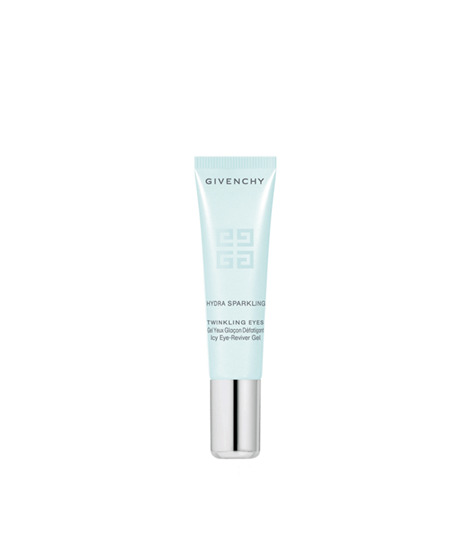 This ultra-sensorial pearly transparent eye gel delivers an “icy effect”. It envelops the skin in a fresh and blurring halo that revives the eyes and visibly reduces signs of fatigue. Day after day, the skin appears plumped and fine lines, puffiness and dark circles are visibly diminished. More wide-open, rested and luminous, the eyes twinkle with freshness and beauty. Morning and evening, apply below the eye and gently pat in with an outward movement. A Hydra-Sparkling innovation, Twinkling Eyes refreshes, moisturizes, illuminates and corrects the eye contour: - The SWC® infuses skin with hydration and helps restore perfect radiance to the eyes. - The Smart Eye Reviver Complex combines a de-puffing molecule with smart pigments that adapt to the color of dark circles to help visibly correct and reduce them. - The original frosty texture provides a clean sensation of freshness that awakens the eyes as soon as it is applied.